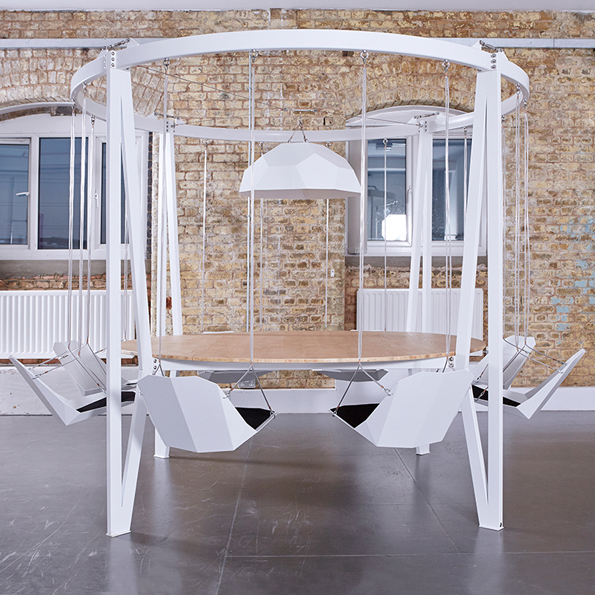 A few years back we posted The Swing Table by Duffy London. 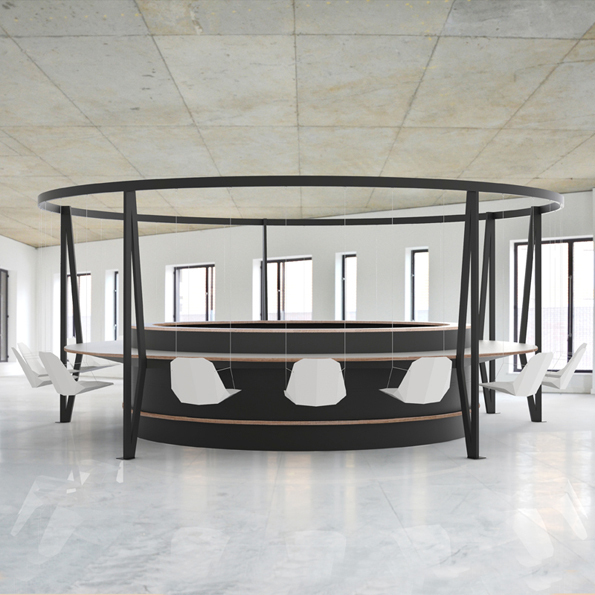 Now the design company is back with The Swing Bar. There are two models, the Dr. Strangelove and a traditional version, both going for $37.5k and up. Not into drinking but still want in on all the swing action? 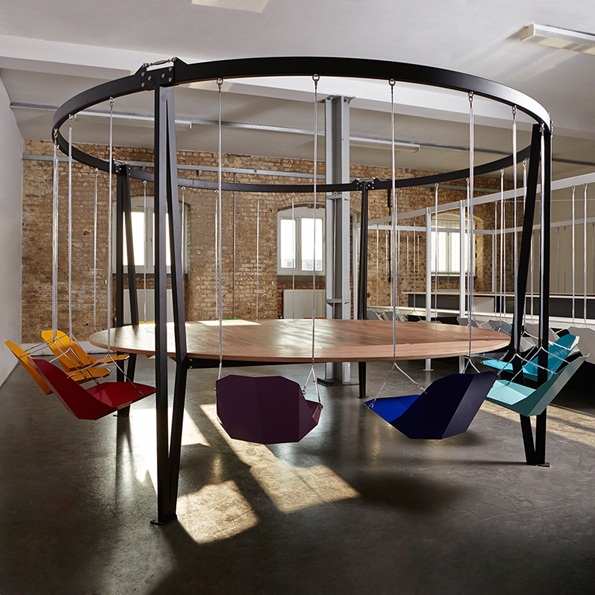 They’ve also got a new style of Swing Table — The King Arthur, which starts at $16.3k. There are so many options, it’s hard to choose just one! But my budget is going to limit me to none, so I guess that settles it. Lawn chairs pulled up to a TV tray it is! This is generally stupid for a bar. How would one pivot at talk to their neighbor?